Reuters are reporting that Hong Kong has reached a deal with the Walt Disney Company to expand the Hong Kong Disney theme park, seen as necessary to bolster the park’s long-term prospects against a Shanghai rival, a government source said on Thursday. The agreement is expected to be announced by June 30, with details of the deal to be laid out to local legislators in a special meeting next Tuesday. The government source, who asked not to be named, said the meeting’s agenda would include the Disneyland deal and that a media report on the imminent announcement “was largely accurate”. The Hong Kong Economic Times on Thursday reported that the deal was expected to be worth HK$7 billion ($903.3 million) of which HK$4 billion would be used for expansion. But a Disney spokeswoman in the United States told Reuters that discussions were ongoing and that there was “no” deal yet. The size of Hong Kong Disneyland, the smallest of Disney’s magic kingdoms, is expected to almost double, with construction to begin within a year, pending approval from the city’s legislative council in July, the newspaper reported. The Hong Kong government, which owns 57 percent of the underperforming resort, desperately needs the expansion to boost flagging attendance, with a much larger rival Disneyland expected to be built in Shanghai in 2014 that could draw much visitor traffic from the burgeoning mainland China market. “At this stage, we have to support the expansion, otherwise it will be very difficult to compete with Shanghai in five to six years time,” said legislator Fred Li of the Democratic Party, who said his party backed the expansion as long as Disney boosted its financial transparency in future on attendance figures. Hong Kong’s Financial Secretary John Tsang travelled to Los Angeles in May, where he met senior Disney executives. The trip is seen to have paved the way for the breakthrough after Disney earlier said it would stall any expansion amid the credit crunch. 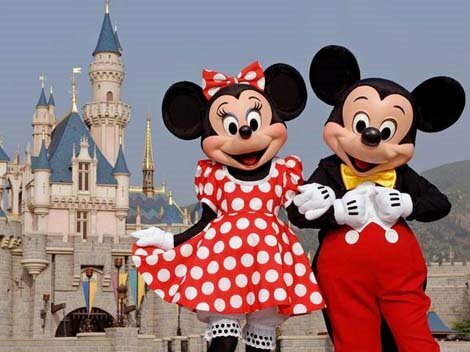 The Walt Disney Compaly earlier indicated it would likely invest more capital in Hong Kong Disneyland and allow the Hong Kong government to convert its loans to equity to maintain its majority share of the theme park, a source involved in their talks told Reuters earlier. Pop star Michael Jackson died in Los Angeles Thursday afternoon shortly after going into cardiac arrest. Michael Jackson in the starring role of Captain EO, a former 3-D film attraction at Disney theme parks worldwide. The “King of Pop” died at the Ronald Reagan UCLA Medical Center after being rushed by ambulance from his rented Holmby Hills home. A team of doctors tried to resuscitate Jackson for more than an hour before he was pronounced dead at 2:26 pm. Theme park fans may remember the recording legend for his starring role in the Disney theme park attraction − Captain EO. Directed by George Lucas and starring Jackson, Captain EO opened at EPCOT on September 12, 1986 and Disneyland Park on September 18, 1986. The attraction was also added to Tokyo Disneyland in 1987 and Disneyland Paris in 1992. 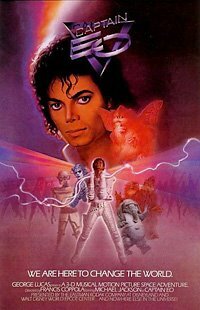 The $30 million Captain EO was the first Disney attraction to use 3-D special effects and it was also at the time the most costly film produced on a per-minute basis. The on-screen action was brought into the auditorium with laser effects, smoke, strobes and other off-screen effects. Jackson recorded two original songs for the attraction − “Another Part of Me” and “We Are Here to Change the World”. The attraction was eventually replaced at both Disneyland and EPCOT by the Honey I Shrunk The Audience 3D film. Its final showings were at the Disneyland Paris park on August 17, 1998. Michael Jackson visited Disneyland Paris in 1992, here are some photos and video footage of his visit. 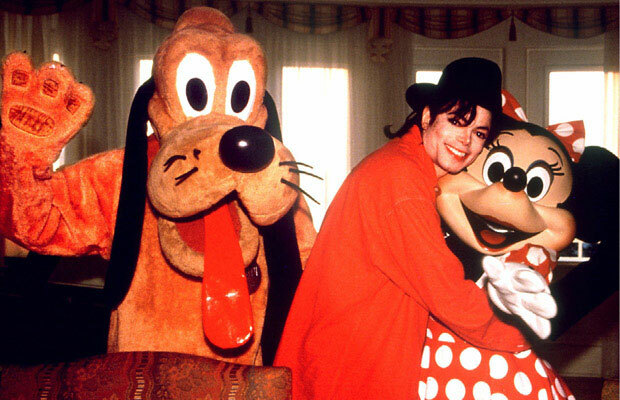 Michael Jackson hugs Minnie Mouse during his visit to Disneyalnd Paris in 1992. Here is a item from TTG Live reporting from the UK Cruise Convention which was recently held in Dover that hints at what a forthcoming Disney Cruise Line announcement might be. Disney Cruise Line is expected to announce European deployment for its fleet after it takes delivery of two new ships, Fantasy and Dream, in 2011 and 2012. The new ships will increase the line’s fleet to four and herald a push to grow a market outside of its core US for the first time. In the UK, leading retailer Reader Offers is already selling Disney cruises out of Dover and Barcelona to the Mediterranean and the Baltic next year. 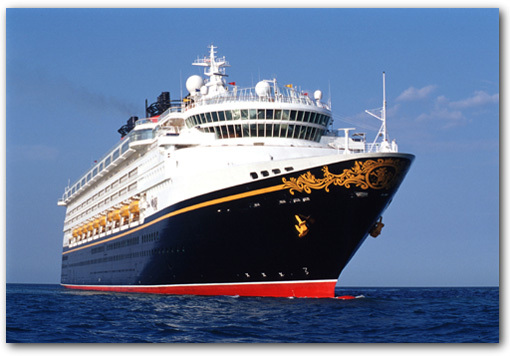 To date, Disney has never had to promote its cruises in the UK because the popularity of the product meant it was guaranteed to sell out in the US. Peter Welch, Disney’s UK vice-president, gave delegates at the UK Cruise Convention in Dover this week a hint at what the forthcoming announcement might be. “In the next few months we will be sharing information about what these two new ships will be doing,” he said. “Needless to say we are here in Dover so that gives you a clue as to what might be happening. “He said the line would be exploring new opportunities with the UK travel trade”. “We constantly look at way to increase and develop our product while looking at new itineraries”. “When we started our cruise line in the 90s we believed we could give our families a totally different experience”. “Welch said he believed quality brands would come to the fore during the current economic crisis. “It’s quality brands that make a difference and make your industry a success,” he said. “Events like this give us a fantastic opportunity to immerse yourselves in these wonderful brands but for Disney the key for us is to speak to you and to listen to you and what your consumers are telling you about the industry we are in. 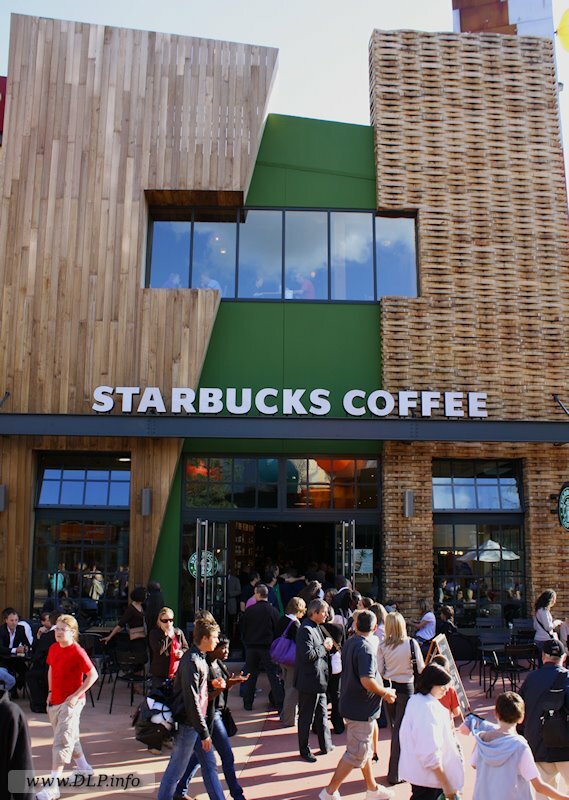 DLP.info are reporting that Staurday saw the opening of the Starbucks coffee shop in Disney Village. Starbucks is located in the former popular outpost of Western merchandise Buffalo Trading Company store which opened in 1994. This is the first Starbucks to open in any Disney resort worldwide. Disneyland Paris looks to London for new recruits. Disneyland Paris plans to recruit 7,000 staff this year and the company has embarked on a European recruitment campaign to search for the right candidates. On Wednesday 24th June HR staff from the resort are visiting the Walt Disney Company’s UK office in Hammersmith London to source employees for positions in sales, hotel and hospitality roles. Employees recruited this week can sign contracts for the summer, Halloween or Christmas as well as open-ended contracts from September 2009. The organisation has launched a new websiteon which anyone, who is over 18 and can speak French can apply. 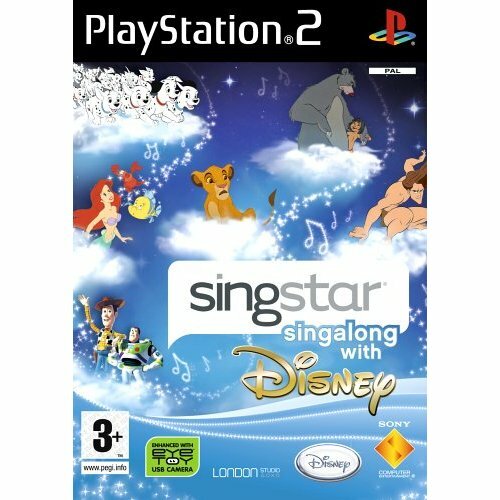 If you are a SingStar fan you might be interested to know that Argos has SingStar Singalong Disney for sale at £4.59 in their End of Catalogue Sale which runs untill the 24 July. Peter Pan – You Can Fly! You Can Fly! You Can Fly! Disneyland Paris has announced plans to use 2D barcodes. They look like the thumbnail image on the left which says Disneyland Paris by-the-way. These codes will be used across the park as a method of providing information to guests via their mobile phones. 2D barcodes, also known as “matrix code,” are much like the barcodes that are scanned at the checkout in your local store. However, where the run-of-the-mill barcodes are one-dimensional (they are read left-to-right on a one-dimensional plane), 2D barcodes, as the name suggests, are read both vertically and horizontally and are capable of representing much more information. The park has chosen mobile telecommunications company Orange to make this implementation of the technology possible. The company will be using its existing Flashcode technology in conjunction with information provided by Disneyland Paris to allow guests to scan the barcodes at each attraction and have the information available directly on their mobile phones. This information will include special offers, information about wait times at specific attractions and show times.